STEM Education challenges kids to employ inquiry and solution-based learning. By incorporating STEM challenges into everyday learning, kids are given opportunities to use skill sets they can take beyond the classroom, childcare, or home setting and apply to their world! 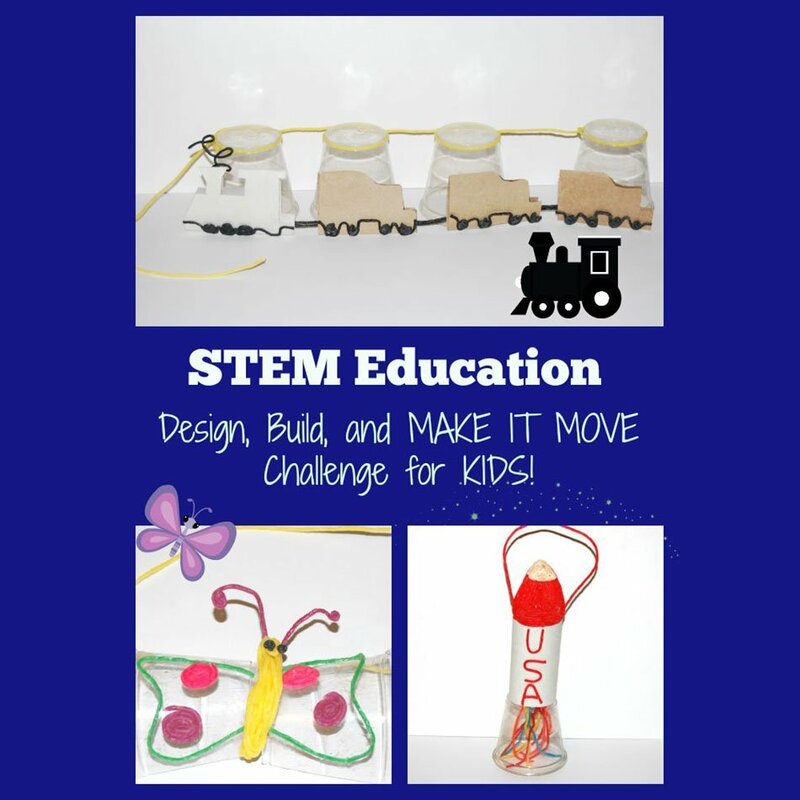 Objective: to invite kids to use cross-disciplinary and critical thinking skills to explore, design, and build an object that will MOVE with simple supplies. Science: Students will use skills within the scientific method: observing, communicating, comparing, organizing, and relating. Technology: Kids will use technology to document and extend learning. Engineering: Students will implement a strategy to design and construct an object that moves from simple supplies. Math: Kids will explore spatial concepts and relationships while developing new mathematical knowledge through problem solving. 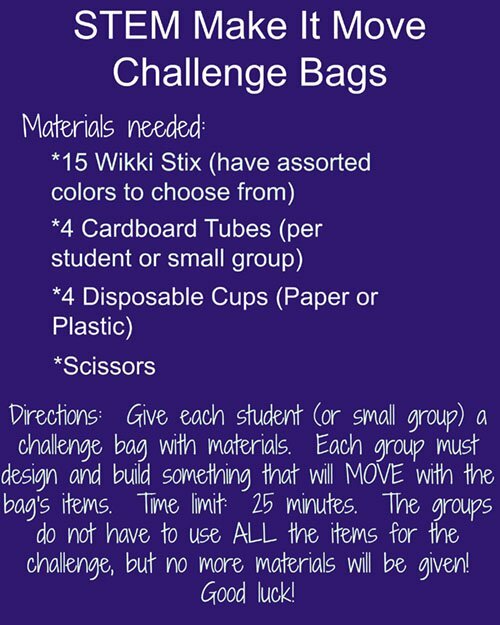 Students do NOT have to use ALL the supplies in the bag, but no additional supplies will be given. 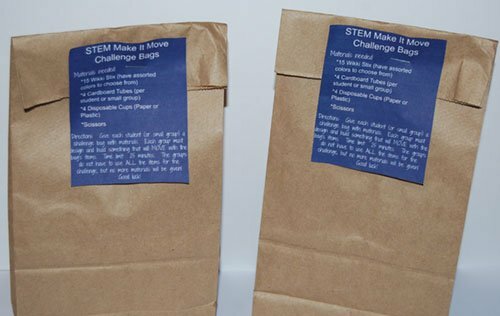 Time allowed – 25 minutes to devise a strategy and build an object that moves in some manner given the supplies in the bag. Observing kids collaborating and using cross-disciplinary skills to formulate solutions to problems is an amazing sight! 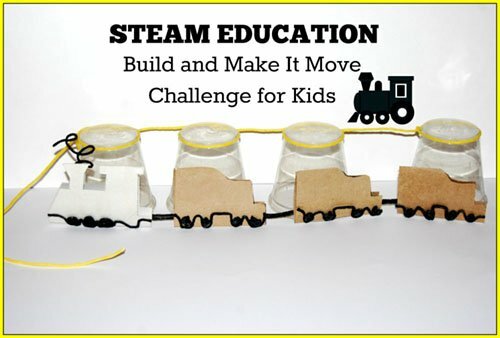 Make It Move Train – this group of 3 students (4th-6th) constructed a train from the bag’s contents. The cups were turned upside-down with a created train engine and cars (cut from the cardboard tubes) adhered to the front of the cups with Wikki Stix. To make the train MOVE, the kids wrapped Wikki Stix around the top of the cups and connected the cups together. As the students pulled the remaining length of Wikki Stix, the created train slid along the table. What an awesome display of STEM Education at work! 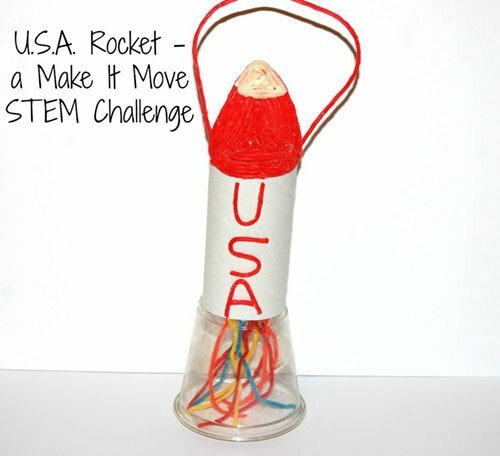 Make It Move Rocket – two 3rd grade students partnered to create the rocket (see photo on right). The students did not use all the bag’s materials, but designed the launch pad from an upside-down cup and the rocket from a cardboard tube and Wikki Stix. The kids cut a hole from the bottom of the inverted cup, poked Wikki Stix “flames” through the hole, and then attached the flames to the cardboard tube rocket. To make the rocket MOVE, the kids attached a separate Wikki Stix to the sides of the cardboard tube rocket. As the kids pulled the rocket via the Wikki Stix, it rose from the launch pad! 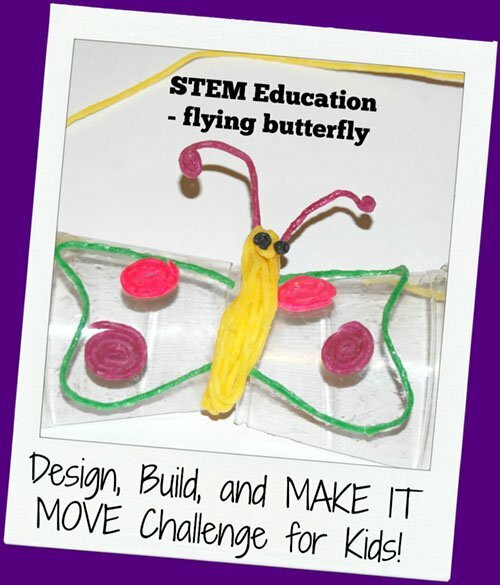 Make It Move Butterfly – two kindergarten students partnered to create the Make It Move butterfly. The kids devised the strategy for design and were assisted only in cutting the plastic cup in half (to form the wings of their butterfly). The kids made symmetrical decorations for the butterfly’s wings on each half of the cup and created the butterfly’s body with Wikki Stix to adhere the two halves of the cup together. 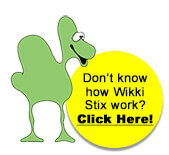 To make it MOVE, the children attached a Wikki Stix from one wing across to the second wing. The children were then able to lift the butterfly via the Wikki Stix and fly it across the length of the table. Later, the children requested we hang the butterfly from the ceiling in our classroom. The children also observed that the butterfly moved with the air currents circulating in our room. Print the Make It Move Challenge Response questions here. (Download the PDF file Make It Move Response here) Invite the kids to come together for discussion after the challenge. Older kids can complete the response sheet individually. Younger children can share verbal responses. Invite the kids to take digital photos of their designs and share the photos in digital slideshow. The slideshow can then be shared with other classrooms, parents, family, and friends. It’s a great way to document learning, but it is also a wonderful way to encourage communication between the classroom or the childcare setting and home. 1. What makes a train move? 2. How do butterflies fly? 3. What fuel does a rocket use? STEM Education challenges kids to use interconnected learning to solve problems. By providing opportunities to use interdisciplinary and critical thinking skills, kids will gain important knowledge they can carry outside the classroom and apply to the problems in their everyday world!